Anterior knee pain (AKP) often develops in runners, cyclists and athletes during periods of increased training load, and leading up to a race or event. Our more sedentary patients also develop AKP with small increases in load such as starting a walking program or stair climbing. Why does anterior knee pain develop during these times? Which factors are the most important to address at each stage of your rehabilitation of AKP patients - biomechanical, proximal or distal control, load, pain inhibition or strength? Discover how to structure and tailor your treatment, so you can help your AKP patients recover, improve their load tolerance and return to the sports or activities they love. In this presentation with Dr Lee Herrington (PhD MSc MCSP) you will explore how load may lead to pathological changes within the patellofemoral joint and other related structures, creating AKP. You will examine the evidence for altered loading in patients with AKP, and be able to identify specific structures vulnerable to load. This comprehensive 8 part webinar series will take you through the practical aspects and research around AKP, to help you feel confident with your next knee pain patient. Dr Lee Herrington is a Senior Lecturer in Sports Injury Rehabilitation and Programme Leader, MSc Sports Injury Rehabilitation at the University of Salford, UK. Why are Patellofemoral pain (PFP) patients sensitive to load and changes in load? What biomechanical and muscular factors may predispose a patient to AKP? What intrinsic and extrinsic factors may trigger AKP? What does the evidence tell us about altered loading in AKP? What are common limb alignment and movement patterns in PFP patients? Is "ITB tightness" actually contributing to PFP? What effect does running speed have on hip adduction? What effect does tibial rotation have on PFP? What structures are sensitive to changes in load? Is subchondral bone stress a feature of AKP? How can you identify when blood flow in local arteries around the knee may be involved, and how can you address this in your treatment? What factors will help you identify patients with the likelihood of a poor prognosis? How can you identify when your AKP patients have features of increased bone stress? What solutions for bone stress can you incorporate into your rehab? 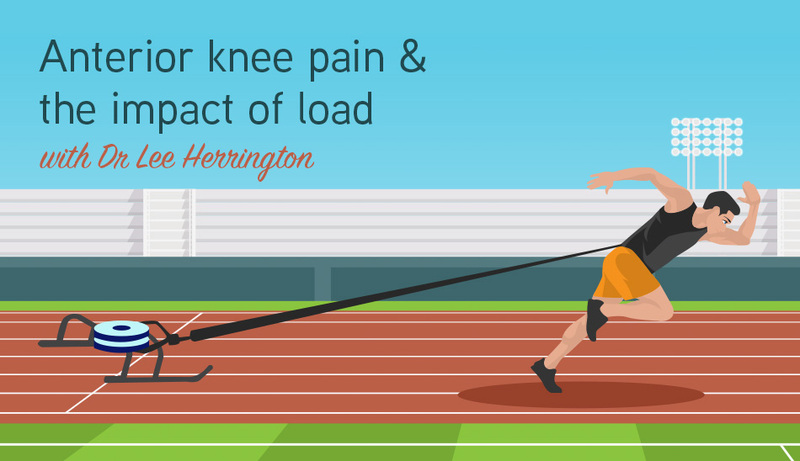 How can you change load on your patients knee? How is the Fat Pad involved in AKP? What signs & symptoms will patients with fat pad involvement have? When are your exercises enough, and when do you need to retrain biomechanics? Is losing body weight the answer to your patients AKP? How can you progressively reload the PFJ? Ice - When should you use it, and when should you avoid ice application? How can we retrain the quadriceps? Are VMO timing and strength actually important? Should you target the VMO in your rehab, or is it a waste of time? Does quadriceps strengthening improve AKP? Should you use open chain or closed chain exercises? Does it matter? Should you load your patient through their painful range? Is hip training or knee extensor strengthening most effective in rehab? Gluteal muscle activation-strengthening - does it work, and if so, how? When do you need to incorporate jump training into your rehab? When are clams and sidelying abduction useful, and when are they a waste of time? What are the most effective gluteal exercises? How can you put this all together into a successful rehab program for your AKP patients?